Los Angeles — Arup launched its ‘Rethinking Timber Buildings Report’ aimed at accelerating the construction industry’s response to reducing global emissions and achieving net zero carbon buildings by using sustainable materials. The report highlights the time and efficiency savings that can result from the use of mass timber as a sustainable and safe alternative to more commonly used materials. It states that architects, developers, planners and corporate organizations should consider mass timber when designing low and mid-rise buildings. The move could form a vital step towards tackling some of the challenges that the construction industry faces when designing and building cities amid rapid levels of urbanization and human population growth. 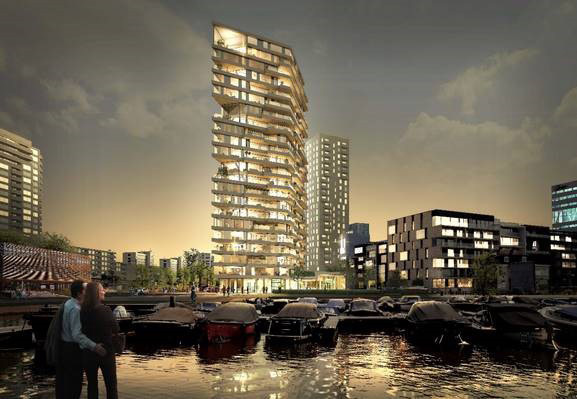 Sustainable and zero-carbon — the use of timber could significantly reduce the carbon footprint of buildings and contribute to limiting the carbon emission contributions of the wider construction industry. Faster and quieter — the use of timber is well-suited to construction in dense urban environments. It is lightweight enabling less road deliveries and is also quiet and quick to assemble. This can help reduce construction noise, time and disruption. Reduced waste — timber produces less waste because it can be prefabricated off site. New digital fabrication technologies enable timber buildings to be constructed very efficiently. Fire safety — robust fire safety can be achieved where timber is considered as part of a holistic fire strategy and is supported by tested, certified, and coordinated detailing throughout the design and construction process. Download the full report at https://www.arup.com/perspectives/publications/research/section/rethinking-timber-buildings.